Calling all built environment professionals and community builders! 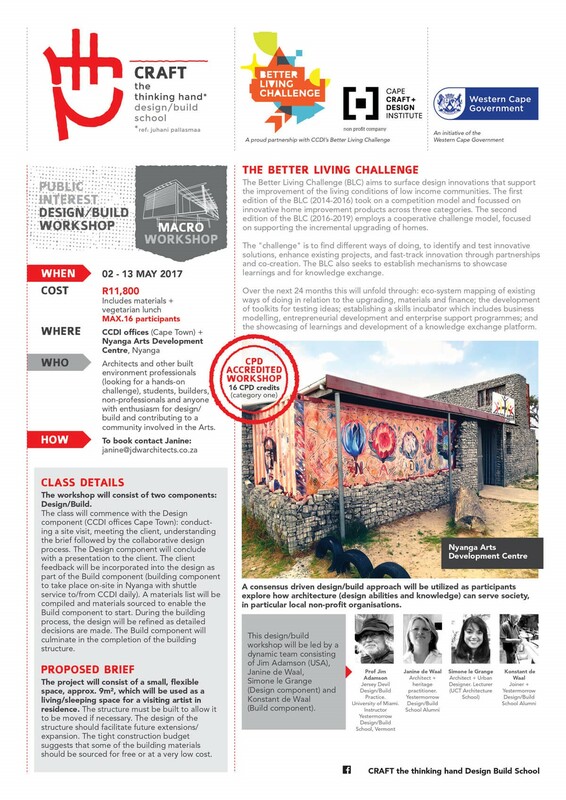 The BLC is hosting a workshop in collaboration with non-profit organisation CRAFT Design/Build School – the workshop is CPD accredited for 16 points. See below and download the brochure here.